From Medieval chivalry to negging, dudes throughout history have employed endless different tactics to try to get women to sleep with them. 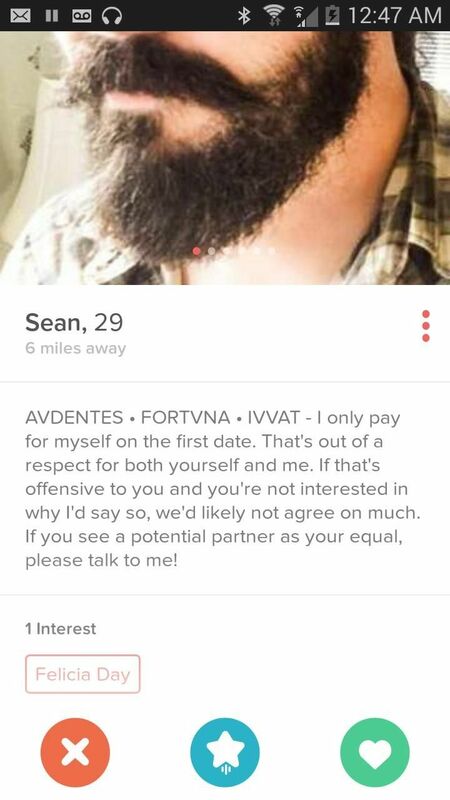 Anyone who has ever used Tinder has almost certainly seen one of the latest get-laid-quick schemes: identifying as an Enlightened Man for whom feminism is VERY important. Luckily, you don't have suffer through guys who say they spend their time dismantling the patriarchy alone. 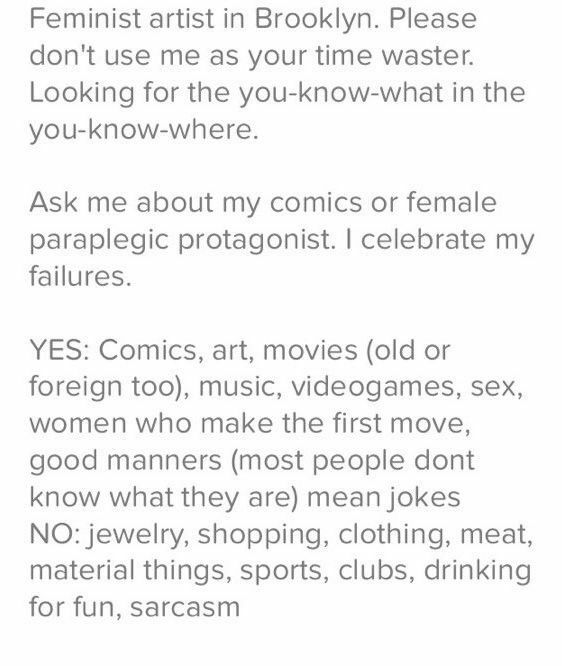 Comedian Lane Moore is doing God's work and compiling the most egregious examples of examples of the phenomenon in her fantastic Tumblr, Male Feminists of Tinder. 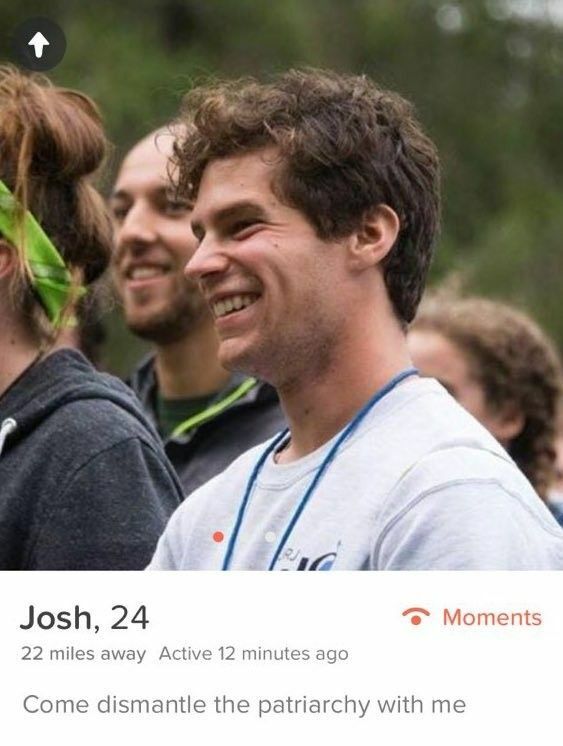 The site features screenshots of terrible Tinder profiles submitted by users and encountered in the wild by Moore herself. The offending bios and photos range from relatively benign protesting-too-much to self-declared feminists who seem to actively hate women, like the "feminist artist in Brooklyn" who is NOT interested in people who enjoy dumb girl stuff like shopping, jewelry, and clothing. Men who genuinely care about feminism and support women by, you know, listening to and respecting them are awesome! But Moore's site perfectly calls out guys who shamelessly use the language of feminism to get laid. 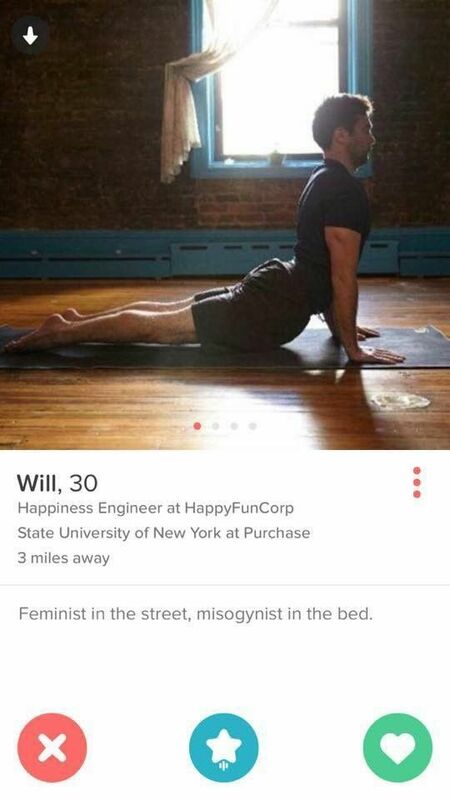 This is not what a feminist looks like.